Pioneers in the industry, we offer rolled aluminium plates from India. We are into offering the clients with Rolled Aluminium Plates that are available in various dimensions and grades to meet the client's specifications. 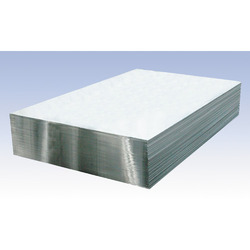 Procured from reliable vendors, our range of Rolled Aluminium Plates is widely demanded in various industries. We are reckoned as one of the prominent Suppliers of Rolled Aluminium Plates from India. Looking for “Rolled Aluminium Plates”?